Come learn the ins and outs of saving BIG on your groceries!!! Whether you are just entering the world of coupons or need a refresher… this is the class for you!!! This 3 hour class covers obstacles, store policies, the where/what/how/why’s of coupons, in addition to food, freebies, and fun! The class is being taught by experienced couponer, Stacy Kelley. In addition to sharing her love of couponing with you, she will also be giving tips on Black Friday Shopping! RSVP Now! Cost: $15, which covers refreshments, giveaways, coupons, and resources. This class is now over. See other Grand Junction, Colorado deals. 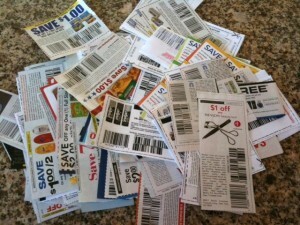 Will you be having another coupon class in the near future? I’m a beginner and was unable to make your class on Nov. 12th but I really want to get started in all of this. Thank you. Hi Pat! As of right now we don’t have another class scheduled until 2012; however, if there is enough interest we could possibly host another one in December. As soon as we have a date confirmed we will let you know! I work for the East Morgan County Library in Brush, Colorado up in Northeastern Colorado. We would like to host a coupon class for our patrons who have a great interest. Would Stacy Kelley be interested in coming a doing a class for us? If not, do you have any other names I could contact? Hi Christy! Stacy will be in contact with you shortly!